What comes after the Lower Tropospheric Centrifuge? Geophysical Warfare or Water for Commercial Needs? When is an event no more a "rare natural phenomenon", but an industrial machinery? At which point, the orderly growth of over sized grass becomes a mono cultural cornfield, instead of apologizing it as a "rare kind of meadow"? This article is not about denying the existence of natural storms, tornadoes and waterspouts, but to learn the difference and target of artificially created ones. 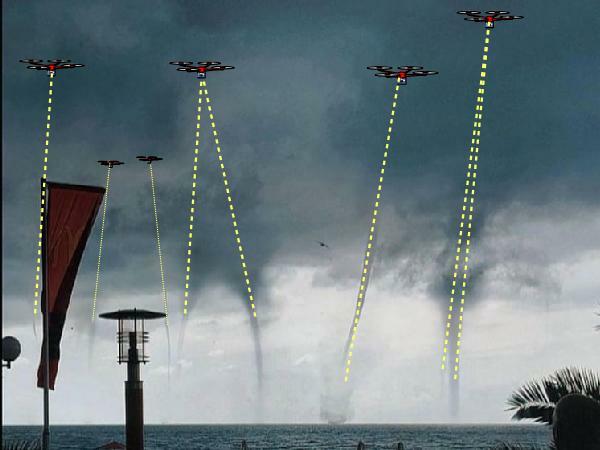 Waterspouts are not build by UFO's, but Climate #Geoengineering vehicles. Most probably unmanned, copter like drones. They are used to build storms and waterspouts! These vehicles are armed with DEW (Directed Energy Weapons) for “peaceful” water management, but the same method can be applied militarily to destroy the infrastructure of the enemy. The advantage of this kind of Geophysical Warfare is that most people deem the resulting death and damage as a “natural catastrophe”. The power source is a flying object above the cloud, but it could be also a beam from a satellite or a combination of land, sea, air and space based vehicles for bigger storms. In the following video document a central turbine and some other exhaust pipes around for fine regulation are clearly visible. The five outer components may contain rotors like on quad-copters and the DEWs. The central turbine is tool to whirl the air down to the surface of a lake or sea and cause a waterspout to lift and desalinate #water in a very fast way. This central turbine is supported by DEW rays to enhance the evaporation. 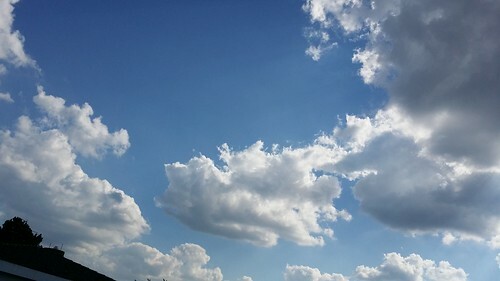 In that example, the flying DEW vehicles is visible above the cloud . There are many similar sightings, which can be found on video platforms like youtube or vimeo. Wouldn't it be more honest to name these ordered waterspouts and tornadoes Lower Tropospheric Thermal Centrifuges (LTTC)? The tools and methods of climate control industry turns the whole Earth into its laboratory and factory! May the sheer abundance of current examples force the reader to think and question more about the methodology and impact of climate control. Antalya Gazipaşa'da etkili olan hortum, park halindeki bir karavanı savurdu. Olay sonucu bir kişi yaralandı. What is the difference between Ophelia and the other storms like Harvey, Maria, Jose etc.? It is the shorter water transport distance from the Atlantic Ocean to the fracking and industrial farming sites in the deserts of North Africa and Arabia! This is energy efficient ClimateControl! The creation of artificial waterspouts is the fastest method of water lifting and transport, also containing finest salt particles as aerosol building material. The water, which was lifted by hurricane Irma has already reached the Arabian Desert! The formation of such spouts is triggered by beams of Directed Energy Weapons (DEW), which may be installed on any kind of flying object or an orbital satellite above the cloud layer. Please observe the pinpoint pressure before the waterspout becomes visible at the coast of Corfu in Greece. 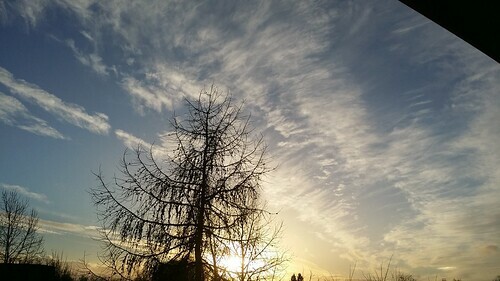 All this is not rare but as systematic application of climate engineering! For understanding the efficiency of artificial waterspouts and storms for desalination of water, we need to think about the natural lifting of water from the oceans. The energy input by sunlight onto the surface of the oceans causes the evaporation and rising of water molecules as humid hot air. By this thermal rise the high and low pressure zones are built. Under intensive thermal conditions the uprising can be highly concentrated to result into storms. The tropospheric wind systems carry the humidity away and release it after cooling down as precipitation! No one would claim that the rain, snow or hail is "salty" only because it was originally lifted from an ocean. Therefore the weather is a natural desalination system. 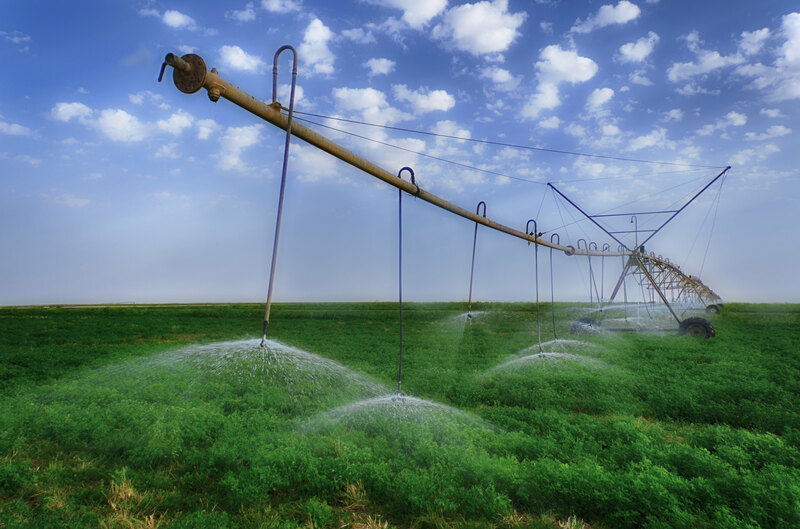 Like any other resource, the natural desalination can be cultivated and industrialized. By concentration of sunlight with huge mirrors or lenses, the energy could be directed to reinforce the lifting and transportation of water. Please understand all propaganda about "cooling the climate by space mirrors" in an opposite way as truth is always the opposite of lie! "The use of space mirrors as an anti-global warming measure is a proposed technology for climate change mitigation by deflection of sunlight. It was one of a series of proposals for controlling global warming made to the United States government in 2001." Without sunlight mirrors, the directed energy has to be produced by using fuel in according gadgets installed on manned or unmanned objects flying above the lower tropospheric cloud layer and producing required the high-frequent radio and hyper-sound waves onto the surface of the oceans, seas and lakes. The humidity rises upwards by whirling around this DEW channel between the warmed surface and the the cold middle and upper troposphere. The impact is comparable with the switching of an electrical flow to a gadget. The workable tension already exists, only opening a discharge channel is required. The same effect can also be created from the surface by placing two ships on opposite and shifted sides, which would radiate the sky. Notions like "space-grid", "space-mirror" only would have an economic and technical reason, if they would be used to desalination, lifting and transportation of water in the most efficient way. The ClimateControl propaganda always feeds the anger of a "runaway global warming" and claims that a network of mirrors in the upper stratosphere or higher would be used to deflect the sunlight for cooling the Earth. As the propaganda always lies, we have to assume that such mirrors will be used to concentrate the sunlight and use as directed energy for managing the global water cycle in a more efficient way. Disregarding that the "cooling" of the Earth is dumb idea, when a network of mirrors is installed, it can be steered to any direction, also onto the oceans to evaporate, lift and transport more water for commercial use like fracking and desert farming or as a weapon of geophysical warfare against enemies. No one should, out of own ignorance, claim that such weapons don't exist! 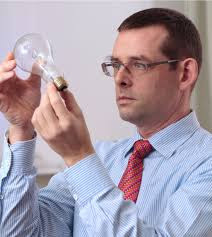 "Some of the key players in Global Directed Energy Weapons (DEW) market include BAE Systems PLC, Boeing Company, L-3 Communications Holdings, Inc, Lockheed Martin Corporation, Moog Inc, Northrop Grumman Corporation, Quinetiq Group PLC, Raytheon Company, Rheinmetall AG, Textron Inc, Azimuth Corporation, General Dynamics Corporation, Kratos Defense & Security Solutions, Rafael Advanced Defense Systems Ltd and MBDA." "According to a recent report by IEEE Spectrum, the Japan Aerospace Exploration Agency has proposed a plan to create a series of geosynchronous-orbiting satellites that could collect solar power, beaming it back to Earth." 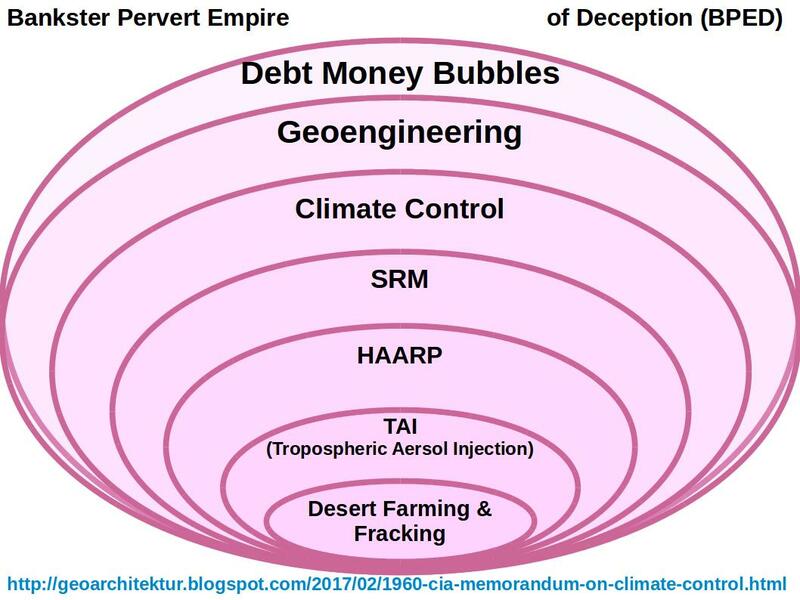 "Solar geoengineeringschemes can be implemented by methods such as installing giant mirrors in space, injecting scattering aerosols into thestratosphere, seeding marine stratocumulus clouds with cloudparticles, and enhancing surface albedo." Please look at the following or other available examples. 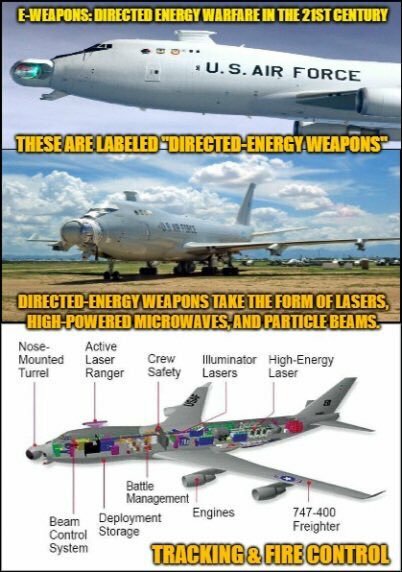 Obviously the directed energy comes from an flying object, possibly a remote controlled drone, which contains the required radiation system. It flies from the sea side to land. The direction of movement doesn't correlate with the flow of the wind. 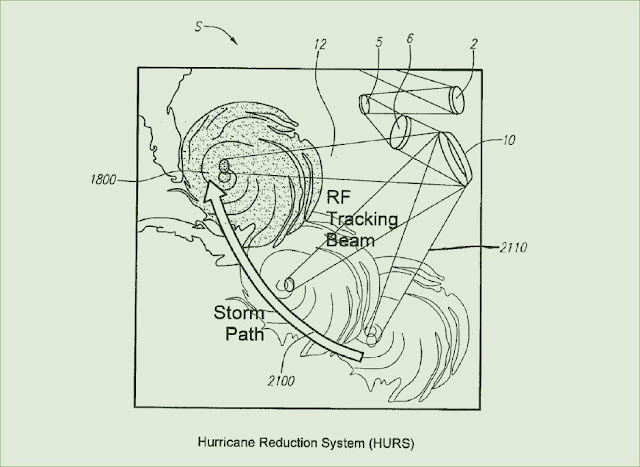 This type of application makes the waterspout (windspout, tornado) a geophysical weapon. It is not a Secret! Everything is well documented and patented! "A method is disclosed for affecting the formation and/or direction of a low atmospheric weather system. Audio generators are positioned to project sound waves toward a peripheral area of a weather system. 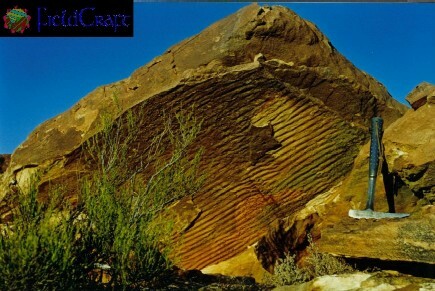 The sound waves are generated at a frequency to affect the formation of the weather system in a manner to disrupt, enhance or direct the formation. The sound waves can also be projected in a manner to cause the system to produce rain." "Energy from the space-based power system is applied to a weather element, such as a hurricane, and alters the weather element to Weaken or dissipate the weather element. 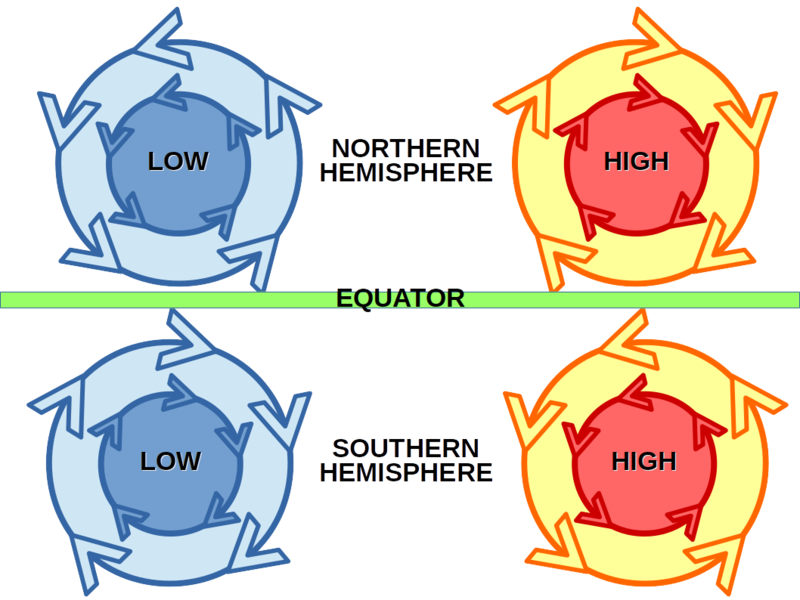 The weather element can be altered by changing a temperature of a section of a weather element, such as the eye of a hurricane, changing airflows, or changing a path of the weather element." 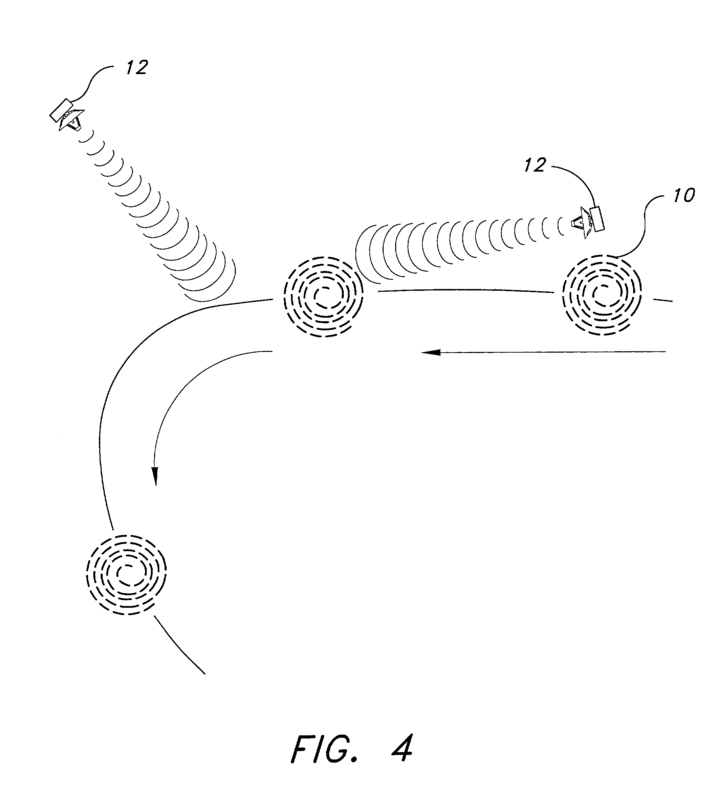 This invention relates to weather control in meteorology, and, more specifically, to the area of protection from spinning atmospheric phenomena such as tornadoes." "5. The method of claim 1, further comprising placing a mobile power source in the area of the tornado, said mobile power source being in electrical communication with a plurality of stationary electrodes." After this first lift with an artificial whirling storm, the water is further elevated to the upper border of troposphere, which may be at altitudes between 8 km in the poles and 18 km at the equator, where the fine dust particles are sprayed layer on layer to bind and store the water in aerosol clouds (smog), lift it upwards and transport it by the wind streams. Optimally the energy for such waterspouts has to come from above. but it can also be managed from the surface by creating two shifted opposite radiation lines. Compared to the amount of lifted water, the invested energy into the waterspout is like switching on an electrical gadget. The workable tension is already there, only a discharge channel needs to be opened! Please learn about desublimation and condensation! Desublimation is the KEY to understand SRM (Sunlight Robbery Menace) and what chemtrails really mean! Geophysical War or Water for commercial needs? In the case of Algeria the intention is insecure. 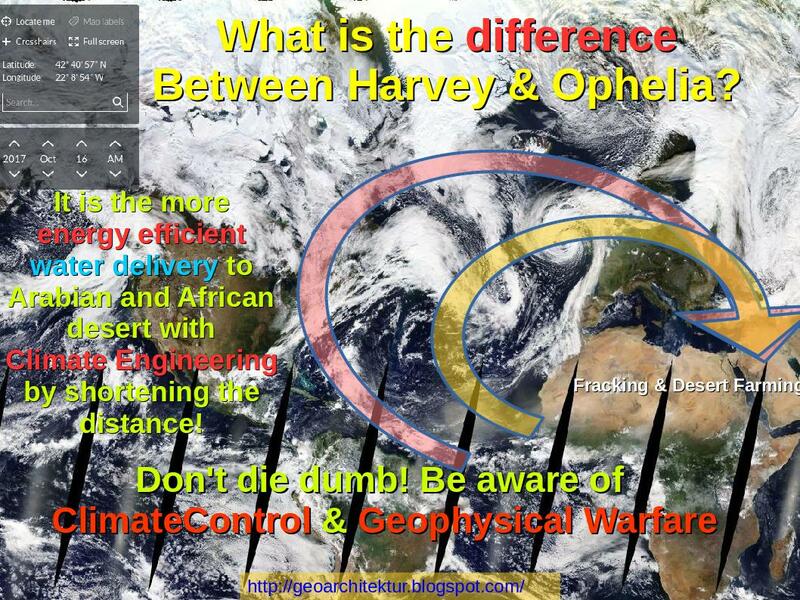 It could be geophysical attack or a "coordinated" water delivery with "collateral damage"! 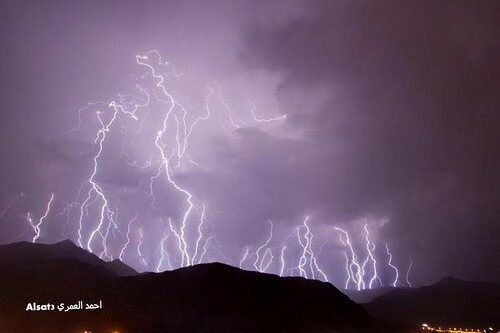 Also in Jordan it is unclear, it is an geophysical attack. 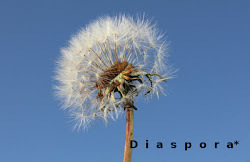 It it is, than we have to expect some important strategic changes. But if the intention is the delivery of water for commercial use, than there must be some desert farms and fracking sites nearby. 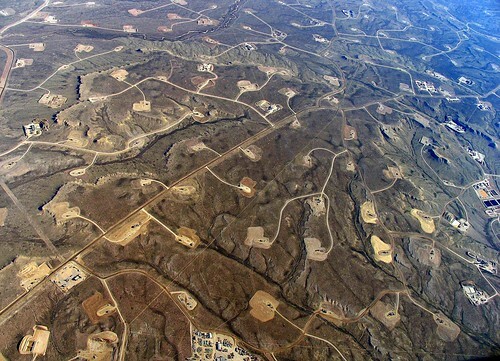 A evidence of fracking would be delivered by earthquakes in the region! 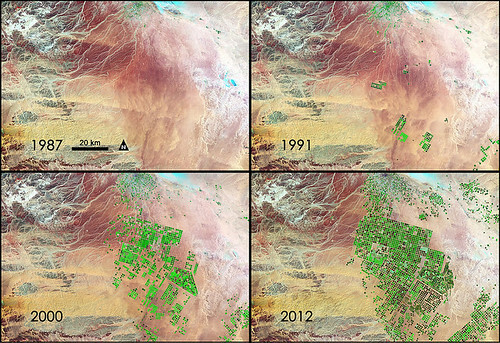 A very open hint is this area on the Saudi side of the border to Jordan, which is a huge site of desert farming! Concluding from that, Jordan may serve as a water catching and storage basin for the Saudis, who would have to pay for this service with some billions. Also Egypt gets billions every year only for water transit across its airspace. When the Saudis resist to pay, the water overfloods Egyptian territory and the Saudis sit on dry sand. Promised Saudi Support to Jordan: At What Price? "In early April, Saudi Arabia agreed to provide Egypt with a financial aid package reportedly worth $22 billion. Less publicized, but perhaps equally significant, was the April 27 establishment of the Saudi-Jordanian Coordination Council, a vehicle Jordanian officials say "will unblock billions of dollars" for the financially struggling kingdom." "The Saudi Arabian government says it will build a $500 billion mega-city, with the goal of diversifying its economy to focus less on crude oil. The project, called NEOM, will measure 10,230 square miles." "... mega-city that will connect to Jordan and Egypt and be powered completely by renewable energy." Factually, there is some desert farming also in Jordan! Also interesting, a huge solar farm in Jordan! Some fracking is also visible! Above are the pump sites and below the treatment, storage and waste water basins. BINGOOOO, earthquakes are there either! Non thematic, senseless, out of content, insulting, polemic comments won't be allowed and deleted without further notice. Conditions for a constructive brainstorming have to be enabled to illuminate the interested audience. Target is to have rather quality, instead of empty quality !